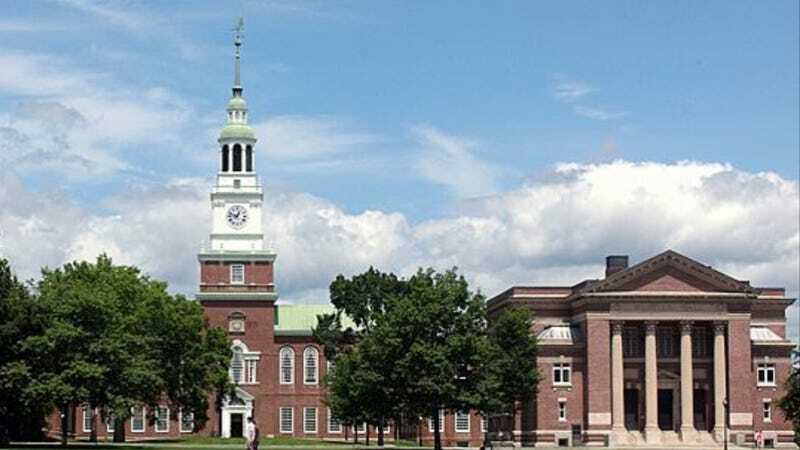 Dartmouth's Greek council unanimously passed a new sexual assault proposal that will make it easier to both report incidents and penalize those found responsible, according to The Dartmouth. The new policy mandates sexual misconduct education, leadership training and formalizes organizations' responses to individuals found responsible of sexual misconduct, but perhaps most notable is that it eliminates the need for internal adjudication processes and standardizing sanction delivery. This is important because sexual assaults on college campuses are underreported in part because the bureaucratic procedures involved are so often disorganized and overwhelming; in Dartmouth's case, fraternity and sorority members had to deal with both the school's Committee of Standards and the Greek Leadership Council. "One of the most important recommendations that presidents told me was that they don't want to spend time adjudicating their peers when they don't know anything about the case," GLC moderator Duncan Hall ('13) said. qualified to conduct an adjudication process. in place, no student will be forced to adjudicate a brother, sister, or friend. The policy also fast-tracks consequences — "If a Greek member is found responsible for sexual misconduct by the COS, the GLOS director will notify the chapter president of the individual found in violation of the code of conduct. This must occur within 48 hours of receiving a report of the individual's sanction from the Office of Undergraduate Judicial Affairs." — as well as strengthens them: for example, students who are suspended or placed on two or more terms of probation by COS are immediately and permanently removed from their Greek organization. It'll go into effect immediately. Awesome.